Throughout the year, strong progression of interests has developed from the Epping Community towards the construction of the new Epping Surgery Centre (ESC). ESC takes the concerns raised by local residents very seriously and we wanted to ensure that the new day surgery is responsive to the needs of neighbours whilst demonstrating compliance with all relevant health standards and excellence in patient care. Accordingly, ESC instructed their Project Architects, Anthony Vavayis & Associates to work through the matters that had been raised in the resident submissions. This process resulted in a revised set of DA plans. 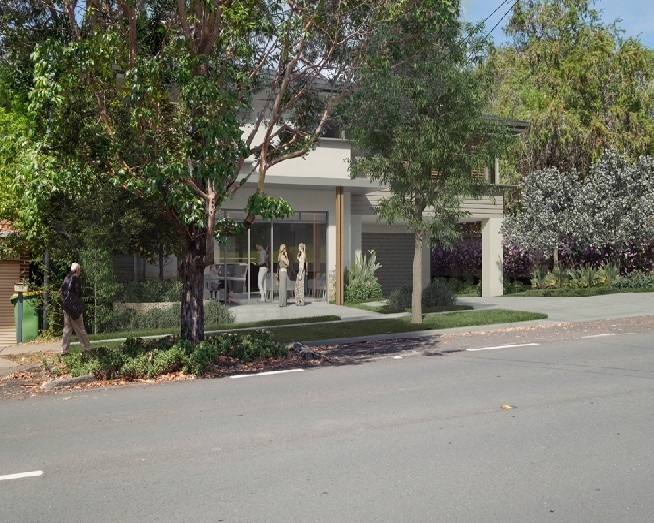 Before lodging the revised plans with Parramatta Council, ESC wanted to test community attitudes to the revisions that they had made to ascertain whether local residents considered there had been an improvement in the design resolution. ESC engaged Urban Concepts, a company that specialises in running community consultation for town planning and development projects to implement a community consultation process. The intended consultation process was communicated to Parramatta Council in a letter dated 20th October 2017 and Council Planning officers were invited to participate in the events being staged. In consideration of the Epping Community’s best interests, the ESC conducted two consultation events for this project on Monday 6th November 2017 to better engage the participation of its residents. A description of each event is presented below. An afternoon community walk was held around the site at 34 Boronia Avenue (4-5pm) on Monday 6th November 2017. A total of 10 residents participated in the site walk with the aim of better understanding the design concept and how it responds to their adjacent properties and the Boronia Avenue streetscape. The event was facilitated by Urban Concepts and involved the Project Architect and Director of Anthony Vavayis and Associates Pty Ltd, Kathy Davies together with the CEO/Director of the Epping Surgery Centre, Roger Cronin. An Information Briefing session was held following the walk from 6.30-8.30pm at the existing Epping Eye Surgery premises that are located at 40 Essex Street, Epping. A total of 8 participants attended the briefing session. The session commenced with a tour of the existing surgery and participants were able to meet some of the surgeons who operate from the ESC. It was felt that it would be beneficial for participants to see inside the existing surgery as this would facilitate their understanding about how the surgery would function. The briefing was then conducted in two parts. During Part 1 a presentation was given by Roger Cronin, CEO/Director of the ESC and Kathy Davies, Director and Project Architect at Anthony Vavayis and Associates Pty Ltd.
Part 2 of the briefing involved a facilitated question and answer session. The Record of Comments included the responses that were given to participants. It was issued to all participants in draft format on the 24 November 2017 by email for their review. The briefing session was facilitated by Urban Concepts. ESC is pleased that this positive engagement has resulted in revised plans submitted to Council ensuring that the Centre is in keeping with the local environs and amenity.